In 2014, I participated in a study letting Minister of Health Canada know what I wanted to see on labels. Even with majority of people interested in GMO labeling it was not mentioned in the final report. I think we should have the right to choose and the fact that most GMO products are not labeled in North America is taking that choice away from us. over 70% of processed food has GMO components and this is another reason I minimize the processed food consumed and reinforces my efforts to eat a clean diet. Getting the results you want!!! So excited to come back home to start my week after an incredible weekend of learning, sharing and bonding at CNTC, Canadian National Arbonne convention that was hosted in Montreal this year. I was lucky to hear some powerful words from people that were just like me and from incredible leaders like Jack Canfield, co author of the Chicken soup for the soul, he’s a coach and an incredible motivational speaker. I have registered for his “10 day transformation challenge” and look forward to reading his new book “the Success Principles”. “If you can’t expect different results in your life if you keep doing the same things…you need to make changes”. Their is nothing quite like spending time with the incredibly positive people that are looking to create a better life for themselves and their family. I was lucky to share this experience with… Patricia who has started a personal journey to change her lifestyle…and wow has she has done well. She took a 90 day challenge started using Arbonne’s, evolution, weight loss aid, to kick start her body changes which she has supported through intense consistent exercise… and her results are incredible. Such a lovely woman and so proud of her what she has accomplished so far. Went to the gym with her in Montreal and gave her a great workout! What kind of changes are looking for? Weightloss, Increased muscle tone, Better Health, Increase your fitness. Write them down. What are the excuses that have been holding you back from achieving them. Write them down. What have you been doing causing the undesired results? Write them down. What are you going to do to change the situation. Write it down. Now pick up your calendar, your phone wherever you keep your appointment written down…and schedule the time whether it be workouts, setting up a log for your food or prepping the food for your healthy meals this week…plan the time and commit. If you put them down in pencil they can be erased but if you commit to the time in pen you’ll make them happen and that is only way if you are ready to see a change in the outcome. So for my family we are trying a new health challenge for September…start the day with 2 cups of water with lemon then we have 1/2 or 3/4 of a cup of green smoothie. Followed by a 1/2-3/4 of a cup of green smoothie. NOTE on an empty stomach for best absorption!!! Why have a green smoothie as part of your nutrition and on an empty stomach? it is great for your skin you will surely notice this! Now I vary these green smoothies so we get variety in nutrients, taste and I like to try new things. I really don’t measure ingredients….but maybe that can be a goal week next week so I can give you actual recipes instead of just combinations. My hand blender does the trick but ordered the Vitamix then you can throw seeds and all. FYI on sale at Costco online delivered straight to the house…love that. On my journey to a better me, healthier nutrition for my family and new options for my clients and friends to try. Join us and let me know what your feeling noticing along the way. January has come and gone…How about your fitness goals? January has come an gone…How about your New Years fitness goals? We are all more motivated at the start of a New Year, new week, new month either to make some changes or get things back on track. So how are you doing? Go back to your plan…Was your goal honestly realistic? If yes GREAT and meeting your short-term goal…Congratulations keep following the plan to your next short-term goal!!! Happy dance well done. If you’re not meeting your goals… Why NOT??? post or tell people when you’re going to workout you may be surprised who will keep you accountable. Work as hard as you can… more intense for a shorter period is better than doing 2 back to back classes at a lower intensity…challenge yourself. Balance doing lots of cardio/weights add a yoga or a stretch class. Here is your second chance…we just celebrated Chinese New Year!!! So start again!!! I needed a new face system….and as you know I am always looking for healthier more natural products. I had tried Arbonne Re9 Anti Aging in the past a fitness friend had given me a sample and it was good but I wasn’t done with the products that I was using so I left it at that…until more recently a Zumba participant offered a silent auction item for the 2013 BFF Breast cancer action fundraiser. And while she was here she drop off a gold bag…filled with the Re9 anti aging skin care products for the daily regime the same quantity that you would receive that would last 6-8 months…wow. So I gave it a try. “Re9 Anti-aging Advanced set is an anti-aging comprehensive skin care regimen for a youthful appearance coming with 6 products Smoothing facial cleanser, Regenerating Toner, Intensive renewal serum, corrective eye creme, a daytime moisturizer with SPF 20 and a night repair creme. A synergy of 9 major age defying elements and botanicals create a powerful system of products clinically shown to start working within 24 hours. Our breakthrough approach pairs targeted topical treatment with age defying supplement to accelerate the results twice as fast”. Claims within 24 hours firmer skin…I have noticed my skin smoother and had better tone. Claims within 4 weeks many have noticed a reduction in appearance of wrinkles and fine lines; refinement in skin texture and smoothness and improvement of skin moisturization. I have been using Re9 for about 3 weeks and I have noticed a reduction in fine lines and definitely my skin is my smoother, pores seem smaller and loving how my face feels. For a very long time I have been after my husband Bruce to take better care of his skin so I though I could put the products on his face and give him a relaxing facial massage. It is a win win…he has noticed within a couple of days his eyes are less puffy and his skin is feeling smoother. I have also noticed his face is smoother and as a bonus he is sleeping better after the massage. I was so impressed with the products that I decided this was something I could share with those around me….I am now an Arbonne Consultant….yeah!!! So this weekend I took the Re9 system on our camping trip and put the products on my sister in-laws, mother in law and gave them a facial massage. It was definitely a positive response and hope they will soon put their comments on their first experience with Arbonne Re9. Contact me and I will give you an intro to the Re9 product with application and leave them with you to try for a couple days. I have decided I am going to work my way through the various products and weekly give them a personal review. Stay tuned!!! Asked yourself these 3 questions? 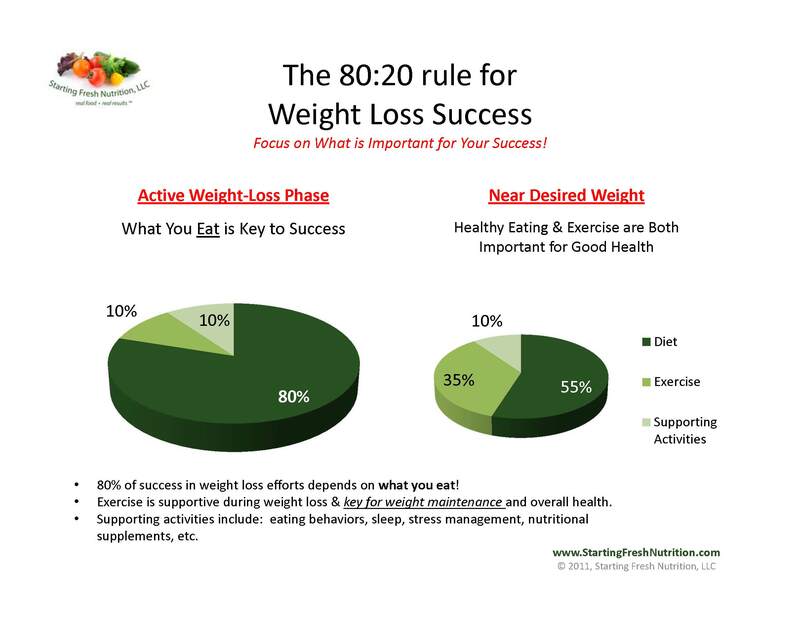 Are you meeting your weight or fitness goals? Yes….Congrats have you now amended your plan? Are you tracking your nutrition,water and exercise? No…had you been? If yes, were you seeing results? Are planning out your nutrition and exercise? Are you achieving your plan? Yes…Good job keep it up. So… there is no straight forward answer for everyone as any one of your situation is different. I have set up a couple options to help my clients achieve their health and fitness goals. Are you taking advantage of them? Weight conscious group Wednesday at 9am or Thursday evenings at 7pm with weekly weigh ins, and monthly measuring. Entering a log on myfitnesspal.com which I spot check and give recommendations. One on One training is something that is necessary for others, a number of my clients do a combo of personal training once a week and attend my classes to balance out their needs, personalize their tarining….maybe something to consider. Feel free to contact me about your challenges, personal training or maybe a Fitness assessment to give you a snap shot at where you are at strength,flexibility cardiovascular, health and fitness today. Get active now so you can stay active through life. It has been a tough week…like many I like to get a head start for Easter and I bought some sweets…well things went down hill from there. I have always had a battle with sugar in all forms at times…chocolate, cake, jujubes… etc. And I started with just a little for the first day and then the next day well it was crazy…after feeling a little out of control I need to reign things in…so I allowed myself only have natural sugar…fruit & dry fruit but overindulged there too. For anyone that struggles with sugar you know that feeling where you are driven by your cravings, and that sugar high is great but when you start to crash you start over again it just becomes a cycle. This has been a life long battle at times and what is weird sometimes it just isn’t. Many things can trigger it like hormones, frustration, and yeah sometimes it is an emotional response but other times it just starts because it really taste good and you get that natural high that fuels your poor nutritional decisions. So now I just made the decision get things back on track allowing myself one piece of fruit per day for this week (really can’t cope without a banana to start the day) but I always combine that with some nut butter and seeds which help manage the sugar spike by combining it with fiber and protein. And yeah it was ok…I have a crazy migraine and I am sure it is from sugar withdrawal and feel crappy but today is day 1 it is 3pm and I am good. Some of my tips to get back on track…if you tend to be sugar sensitive like me. I have found that when the cravings get really bad…I need to cut sugar out cold turkey for the first couples days…it helps. At least for the first 48-72 hours. Plan your meals as when you’re not hungry you don’t usually go looking for something sweet and make poor nutritional choices. Limit your fruit and when you do have it combine your fruit with fiber and protein. Why?…because it will help you manage your blood sugar levels and help prevent those uncontrollable spikes that can result in binges. Once you get things under control and decide to have a treat make sure you combine it with other food like at the end of a meal that way if you are almost full hopefully you will be satisfied with just a little piece of something. When you feel a craving coming on…try some alternatives gum, herbal fruit tea, a snack as you may just be running out of fuel so your blood sugar levels are low. Slow life down at first and just focus on your nutrition. It is really easy when life is hectic to just grab stuff on the go or processed…and those aren’t necessarily the best choices to help you manage your sugar addiction. Hope some of these tips help you if you tend to be sugar sensitive like me and feel free to share your tips and offer some suggestions to this blog.